This article was written by Elly Grantham, published on 11th November 2014 and has been read 6617 times. 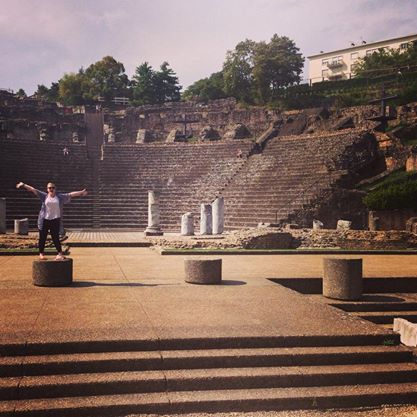 Elly Grantham studies Applied Languages at the University of Portsmouth and is currently on her year abroad, which she is spending in Lyon, France and Salamanca, Spain. In this article, she uses her hard-earned wisdom to give her advice on what to do - and what not to do - when preparing for your year abroad! For more of Elly's insights, check out her blog! It was only when I arrived in France that the ‘wow I actually live in another country all by myself now’ feeling set in. Now heading towards the end of my 4 months here in France and before my move to Spain next year, I’ve made a list of things that I wish I’d known before I’d come here, and I hope they will help you too! Unlike I did, make sure you leave enough time to fully prepare yourself in terms of getting together the correct documents, forms and all other types of bureaucratic needs your host country will demand from you. By all means spend the summer working or travelling and having lots of fun, but don’t leave everything until the last minute, and don’t presume you will be able to sort things easily when you get to your host country, as that isn’t always the case. We were advised by university to visit our future home country in the summer to look for accommodation, but, quite frankly, a lot of students don’t have the money to do this. I simply accepted my offer of halls in France without hesitation, assuming they would be just as amazing as my halls experience in England as a fresher. I was wrong. If I could do it again, I would speak to past students who lived in the same city, and discuss their opinions before saying yes, seeing as they actually lived there. This goes for all aspects of life in your new host country. Find out who the best person to talk to both at your home and host university, and see if there are any organisations in your host country that can help you set up your new life or help if things go wrong. For example, here in Lyon, the company My French Lifeguardwere AMAZING at helping me sort everything from a bank account to a phone contract (and I think they are starting to work in other French cities too – yay!). Moving to a new country can at times be overwhelming and it can feel like no one wants to help, but if you do a little research, you will find that more support is there than you expected. There are not always helpful organisations such as this one in other countries, but there will always be a point of contact that will be able to help, you just sometimes have to do a little work sourcing them out first! When I initially moved here, and aspects of life were a bit of a struggle, I would see my friend’s photos and be sure they were having the most amazing time in the world. However, no one is going to put a picture of a rubbish day they had on Facebook for the world to see are they? Everyone will have positives and negatives about their year abroad, that’s why they say it teaches you so much. When I learnt not to compare my experience to others and accept that this different way of life was okay, things started to get a lot easier for me. Nobody’s year abroad will be plain sailing, and it is so easy to think that it’s just too hard and you just want to go home to your friends and family (mine was actually mainly that I wanted to just sit in bed with my cat. Yep, I am a crazy cat lady) It’s important to remember just how lucky you are to be living in a new country with so much to do and explore. Yes I’ve had some testing times, and I think it would be a little weird not to when moving to a country in which the culture is completely alien to the one you know and love. However, I have also met some friends for life, seen some pretty cool places and I regularly get to party on a boat. Oh, and I’ve learnt the French word for candyfloss. Barbe à papa anyone?